Bandung, September 2018 - Following the success of Jakarta’s recent anniversary and Bandung’s anniversary celebrations last year, Archipelago International once again held various exciting events across the city to honor Bandung’s 208th-anniversary last month, from culinary creations to flower planting, city tours, and special discounts. A selection of flavorful, traditional Sundanese dishes were offered to guest; available at all seven Archipelago International Hotels across Bandung. Presented during breakfast at a special "Pasundan Corner", all guests were invited to taste an array of delicious Sundanese delicacies created by the talented hotel chefs. Archipelago International also added special Sundanese dishes to its menus from 17th September to the end of the month, including Nasi Tutug Oncom, Karedok, Peyeum Goreng Keju, Baso Tahu Bandung, Batagor Bandung, Bandros, Soto Bandung, and many more, making the celebrated cuisine available throughout each day. Contributing to Bandung’s blooming environment and to further encourage an eco-friendly environment, Archipelago International held a Flower Planting ceremony on 12th September 2018 at Taman Pustaka Bunga Kandaga Puspa. Representatives from all Archipelago International Bandung Hotels joined the event, planting around 208 flowers together with Mr. Ir. Iwan Sugiono, Kepala Bidang Pertamanan Kota Bandung, and his team. 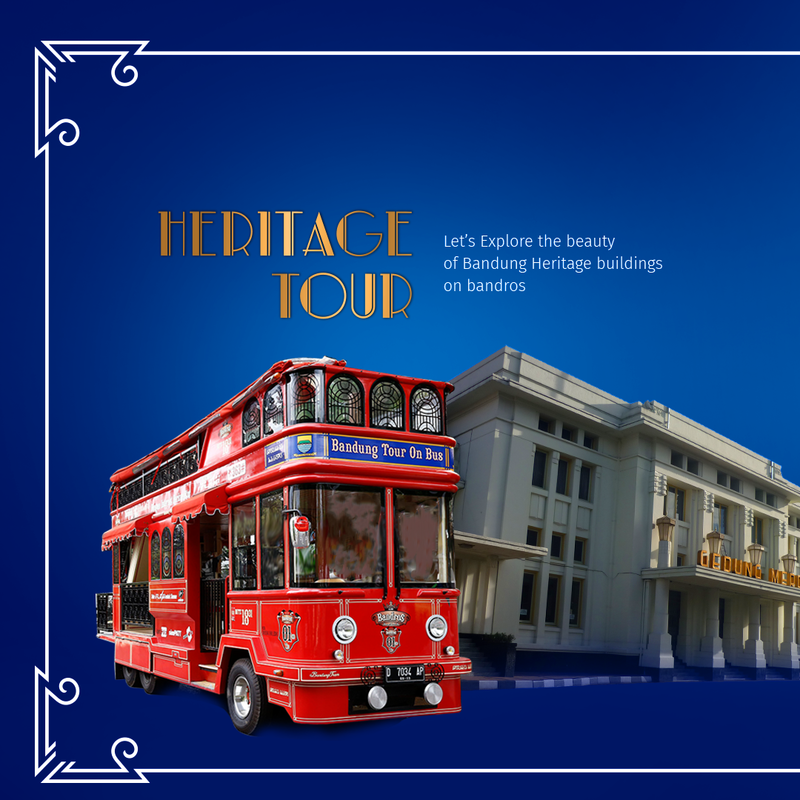 Archipelago International held a second Heritage Tour this year in 2018, choosing Bandung as the prized location, following the success of its inaugural Heritage Tour in Jakarta. An encyclopedia of cultural heritage, the Bandung Heritage Tour took to the city’s iconic Bandros to explore the surrounding beauty. The one-day tour visited around 32 heritage spots, led by a knowledgeable guide from Himpunan Pramuwisata Indonesia (HPI). To further celebrate and honor Bandung’s 208th anniversary, Archipelago International gifted a 28% discount on all room bookings. Available from 3rd to 15th September 2018, the promo was available in all Archipelago International Bandung Hotels: Aston Braga Hotel & Residence, Aston Pasteur, Aston Tropicana, favehotel Braga, favehotel Hyper Square, favehotel Premier Cihampelas, and Hotel NEO Dipatiukur. All aspiring amateur photographers and social media enthusiasts were invited to join the second Bandung-themed Instagram photo contest. This year, the aim was to capture the beauty of heritage buildings like never before, along with a caption on why each place is special to the photographer. 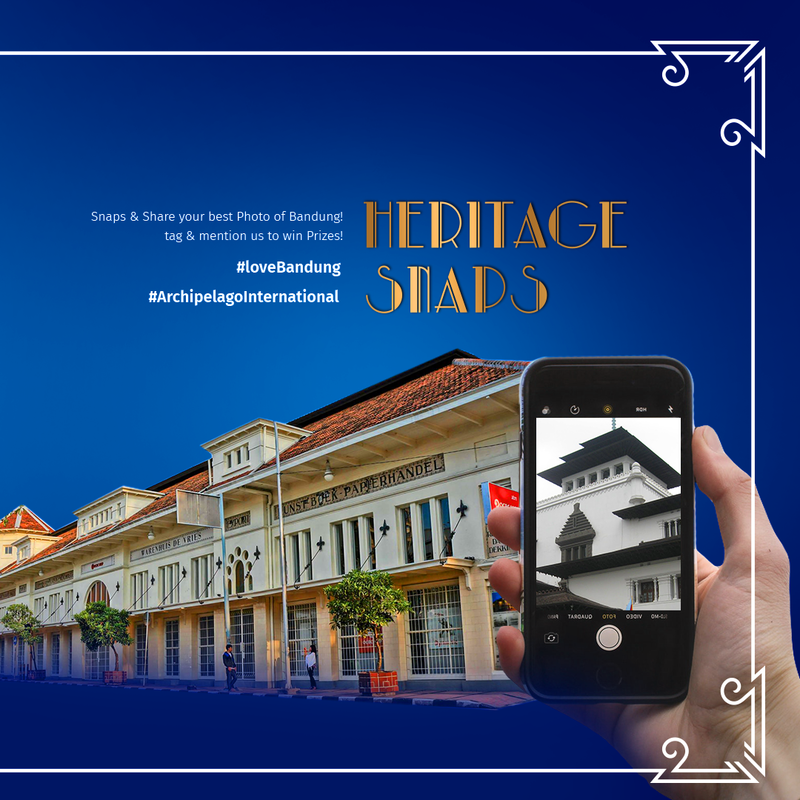 All photos were required to use the hashtags #LoveBandung and #ArchipelagoInternational. The contest ran from 10th September to 30th September 2018, and one lucky winner will be announced on 5th October 2018. *Note for editors: Please contact marketing@archipelagointernational.com for more official photos. Archipelago International operates Indonesia’s largest portfolio of over 138 hotels with a further 100 new properties under development across Indonesia, Malaysia, the Philippines, the Caribbean, and Saudi Arabia. With over 18,000 rooms and 10 brands ranging from ultra-luxurious to select-service in more than 55 cities, brands include Aston, Alana, the Aston Heritage Collection, Huxley, Kamuela, Harper, Quest, Neo, favehotel and Nomad Hostels.